We benchmarked 11 major web development blogs and analyzed their website performance. In mid-2015 we conducted a lot of performance improvements for our website and blog. And we continuously did our homework. 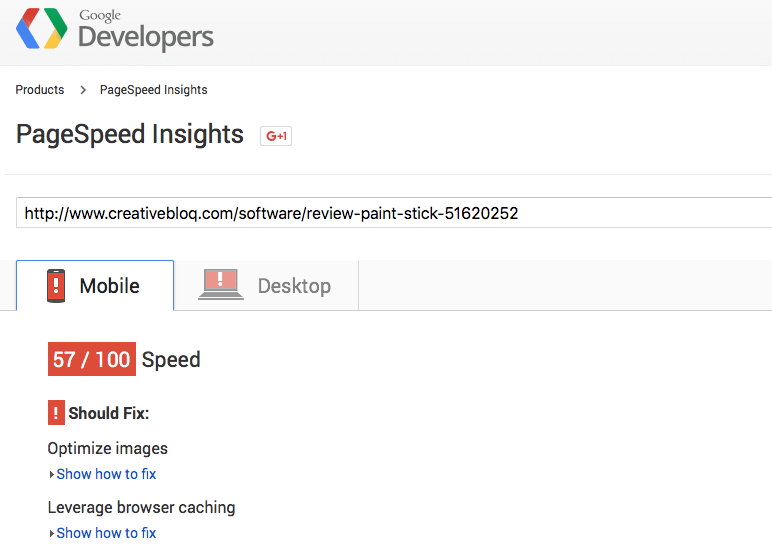 Just last week we did a major website speed upgrade for our blog. So, we thought it would be fun to benchmark our web development blog with some other major web development & design blogs. We put our heads together and conducted some research. In many cases the performance and speed of a website is critical. A well-performing website or blog improves user experience. And this leads to a decreased bounce rate, so people will stay longer on your site. And chances are high that they’ll convert a whole lot better. 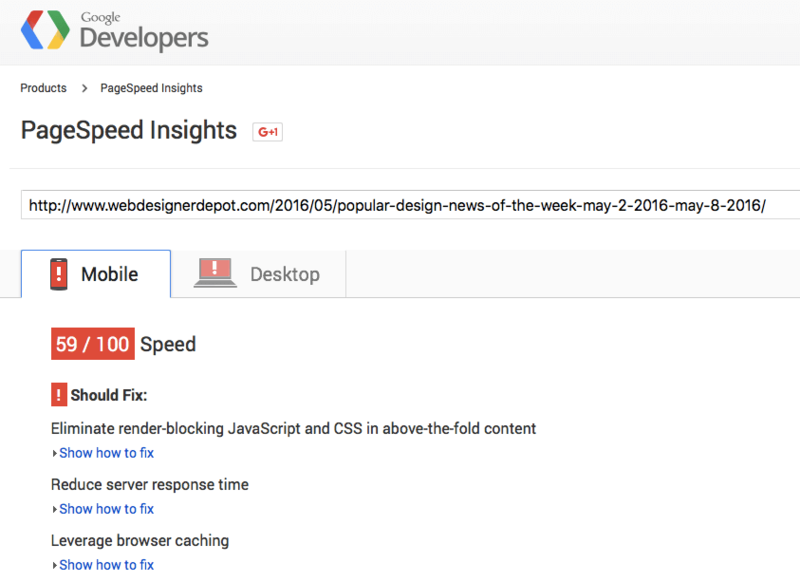 Website speed matters even more on mobile. As mobile and smart devices have become so widespread nowadays, a website can’t afford to work at snail’s pace and without any performance optimizations. So, better make sure your website and blog run fast enough on mobile too. 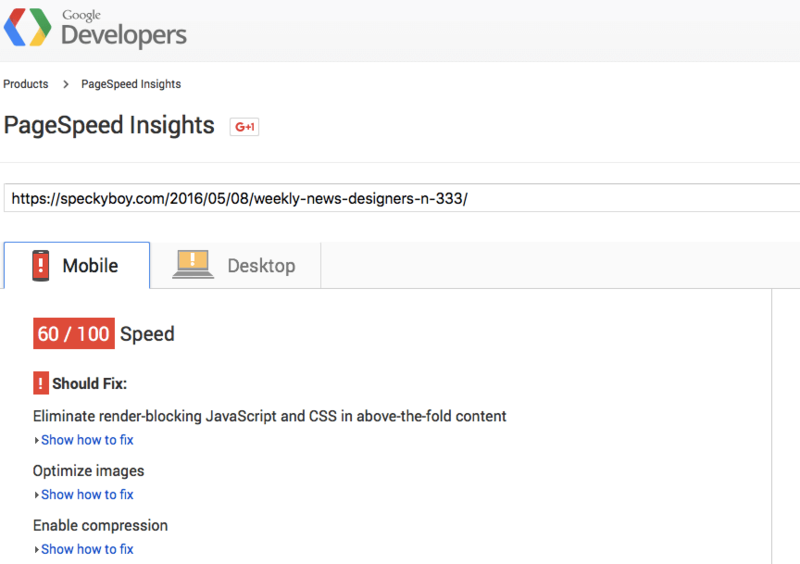 As we finished another round of speed optimization on our web development blog, we thought it would be fun (at least we hoped so ;)) to compare our own blog with some major web development blogs. As each and every blog has a different blog strategy, I just want to make clear that the success of one’s blog can’t be correlated to the outcome of this speed test. The conducted performance test just aims to show how these aforementioned blogs compare to our blog in regards to their website performance and speed. How to test the website speed? 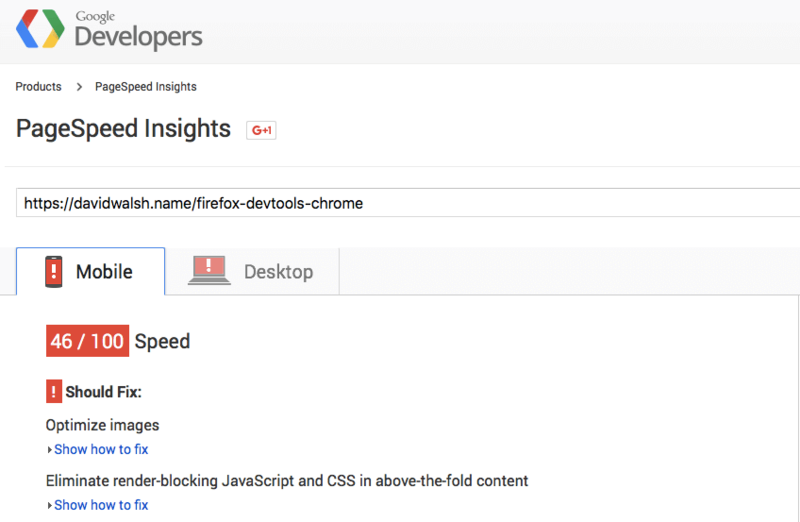 When it comes to testing the website speed and the overall performance, there are various tools out there. I don’t want to go into detail here because we already published this post on how to improve your loading times a while ago. 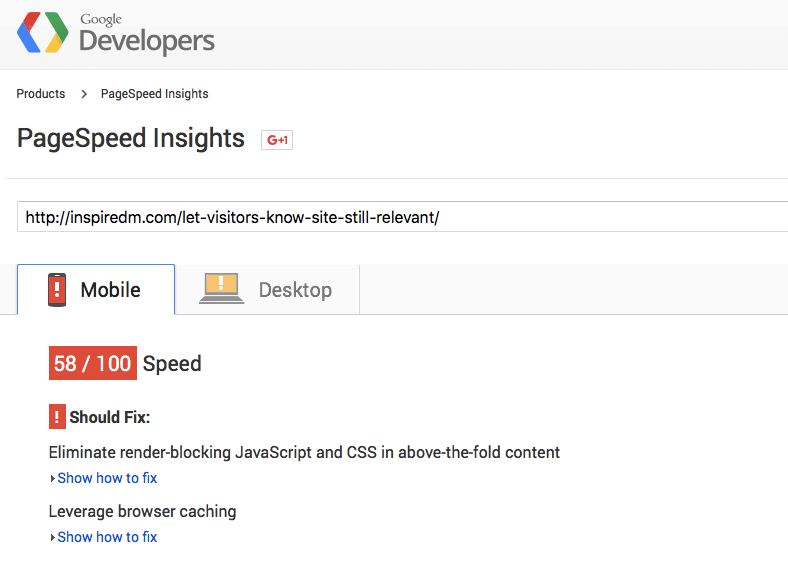 If you want to learn more how to run website speed tests, I highly recommend this previous article. 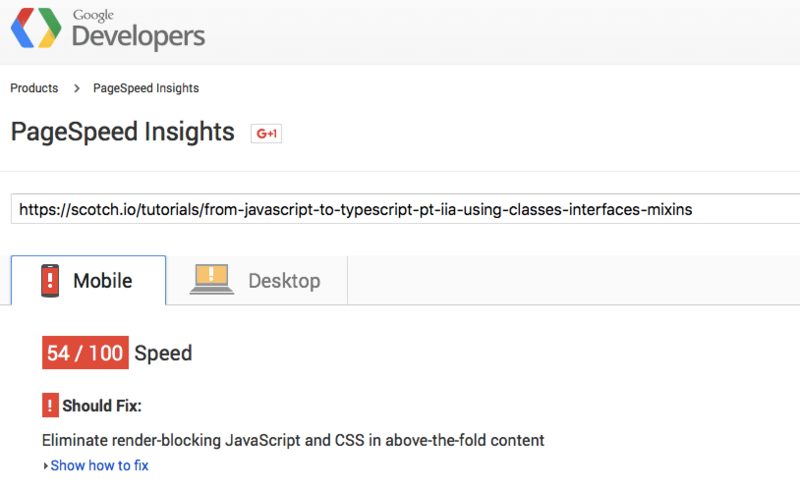 For this little experiment, we decided to use PageSpeed Insights by Google as it seemed to be one of the most reliable tools out there. We also decided not to measure the main home page, but to analyze the last published article of every blog. 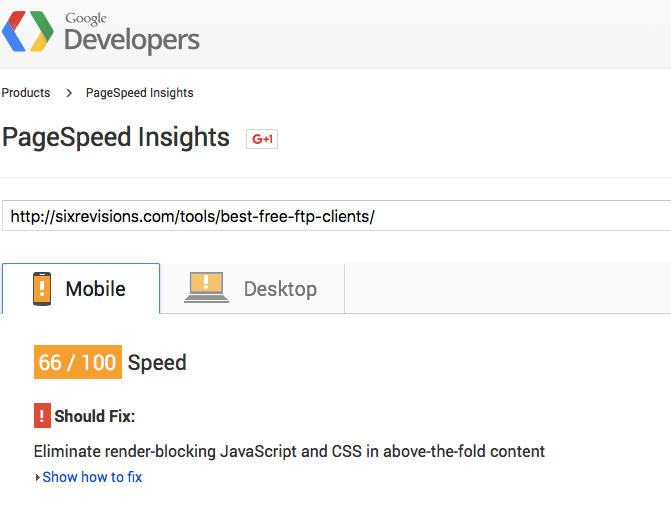 In the test results, you’ll see that every site gets a number for its mobile and desktop performance. 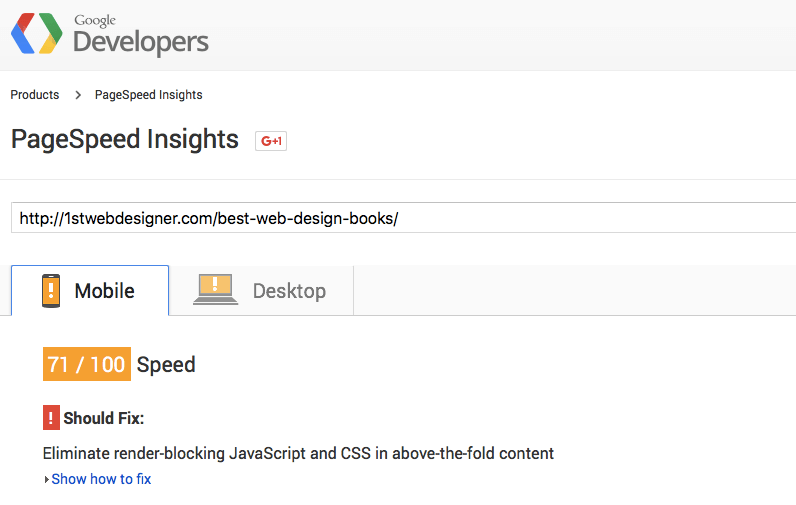 The higher those numbers are the better a site performs. SixRevisions is a pretty well-known development blog publishing articles, tutorials and other super interesting content on the topic of development and engineering. Speckyboy calls itself a design magazine. Though I think they are pretty widespread in the web development community too. 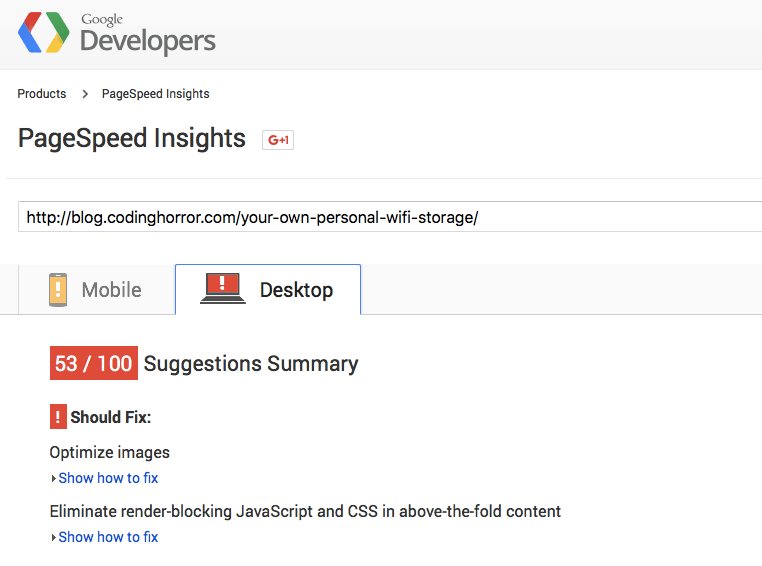 And the people at Speckyboy publish some interesting insights in the frontend world. WebdesignerDepot is – as its name suggests – a magazine for web designers. As it’s pretty image-heavy I was especially excited to see how the site performs compared to other sites using less images. The desktop grading isn’t an error. It really only got 20 out of 100, since it seems that the used images aren’t compressed and optimized. (Google loves compressed and optimized images). If you’re reading this, I guess you know who and what Smashing Magazine is. It’s the leading web development magazine in the western hemisphere. 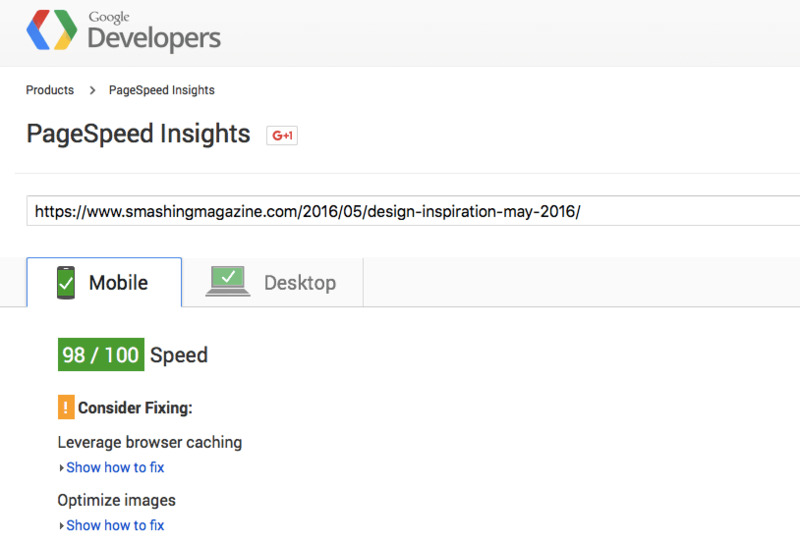 And the people at Smashing Magazine are doing not only a fantastic job when it comes to publishing great development articles, they also understand the job to be done when it comes to their own website performance. David Walsh is a 31-year old web developer and engineer and the man behind the David Walsh blog. His blog is quite known in the web development scene. 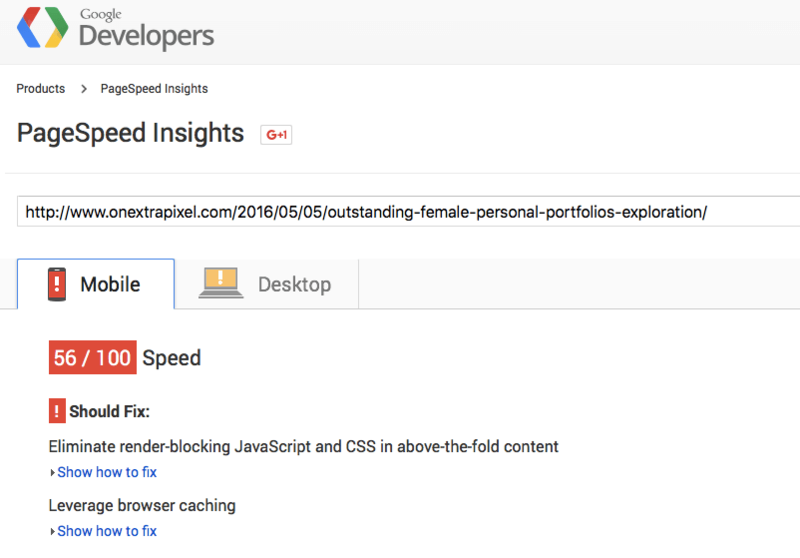 Onextrapixel publishes a lot of great content in the field of frontend and backend technologies. With its tutorial and offers I’ve always find myself going back to the site and finding its article on the social web. The Coding Horror is a great blog by Jeff Atwood. It offers some interesting insights in the developments of software engineering. Especially the Desktop version get’s some bad grading because of its image sizes and resolutions. Scotch.io is one of my favorite web development blogs. I find myself going to the site a couple of times a week. Especially with its tutorials I gained a lot of knowledge and learned about new frameworks or techniques. And most of all, I’ve already written a couple of guest posts for scotch.io. InspiredM is a web design & lifestyle blog. Founded by Catalin Zorzini in 2009, it covers a lot of interesting web design and visual articles. The 1stWebdesigner website is not only a blog but calls itself a community of web designers. It offers free design courses and provides great resources when getting started in web design. CreativeBloq is a mainstream blogs among this collection. It’s not only a web design blog, but also provides creative content in all kind of niches. With its images and ads, I was surprised that it was performing better than most other web development & design blogs in this list. Taking a closer look at all these blogs, I was surprised to see such a great variety of results. I didn’t expect to see a lot of blogs in the red area with a grading below 50. Smashing Magazine was the only blog which got a grading higher than 90 and the only blog without any improvement suggestions. You might wonder now: Ok, and what’s my grading? Let us know in the comment section below. PS: If you want to learn more about how to speed up your website or blog, I recommend to check out this article.